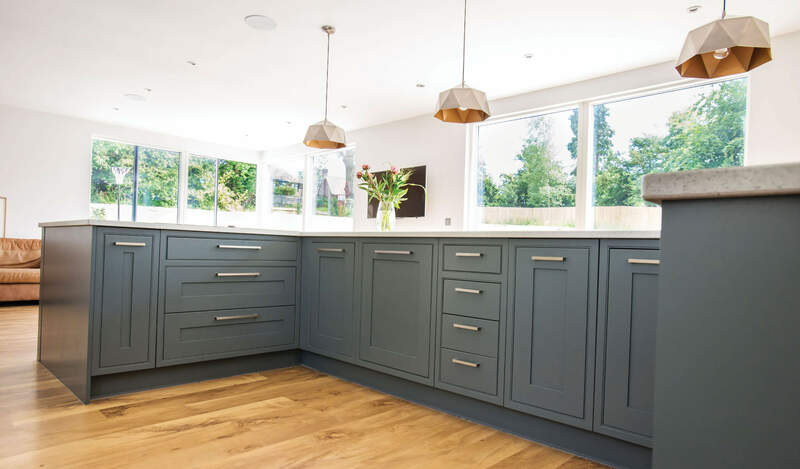 This contemporary new build in the village of Cuckfield gave the perfect setting for these Haverdale In-frame cabinets. 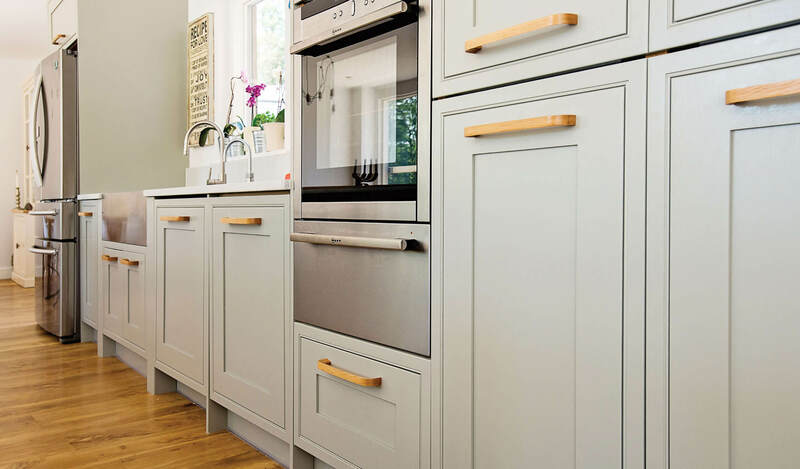 With two beautiful bespoke grey and blue toned paints alongside the oak and brushed chrome handles give this kitchen a modern feel. 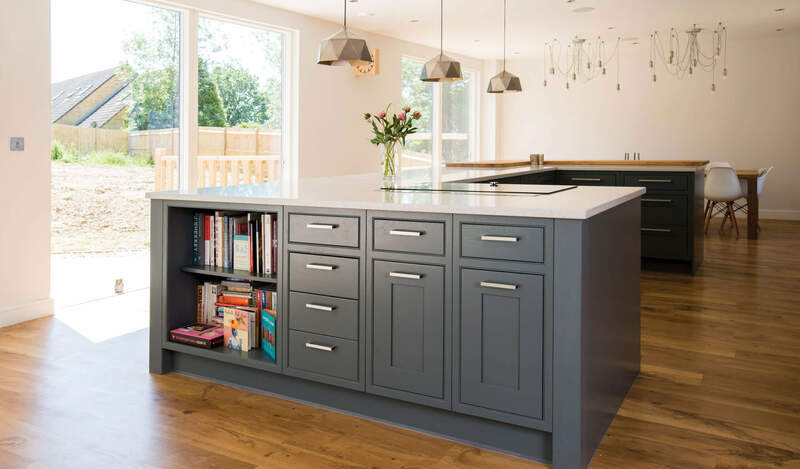 With the Neff appliances, Quooker tap and the Silestone Blanco Maple Quartz they work so well with the Earthy Timber Oak bar which is great for entertaining. 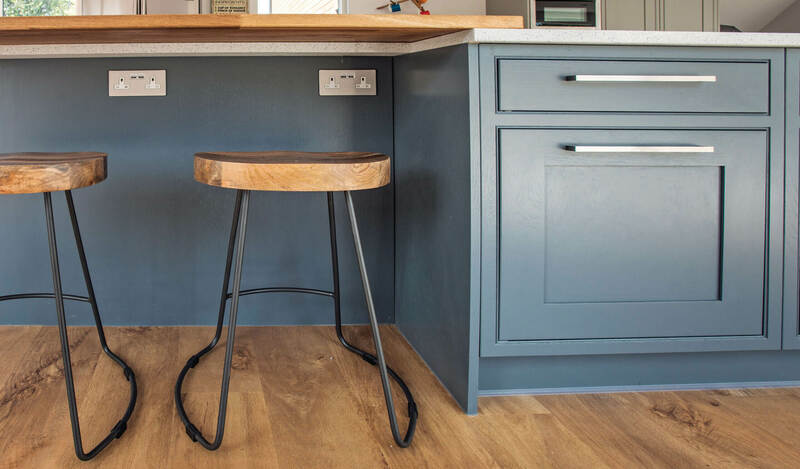 The Oak Karndean flooring creates a perfect partner making the room warm and inviting. 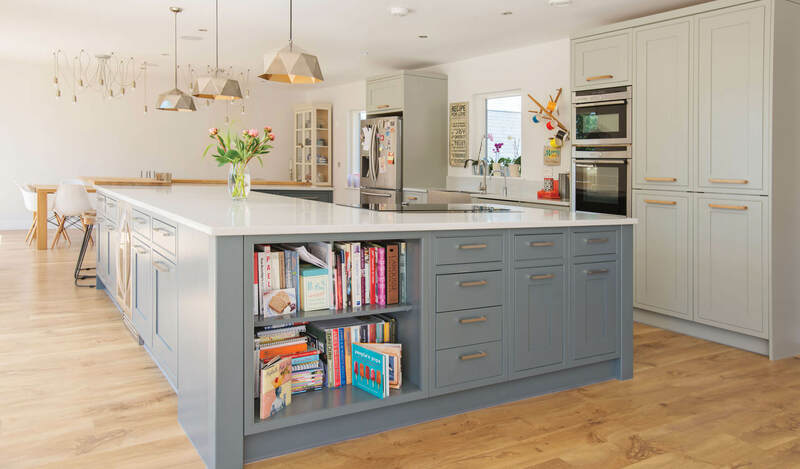 “We love our kitchen. 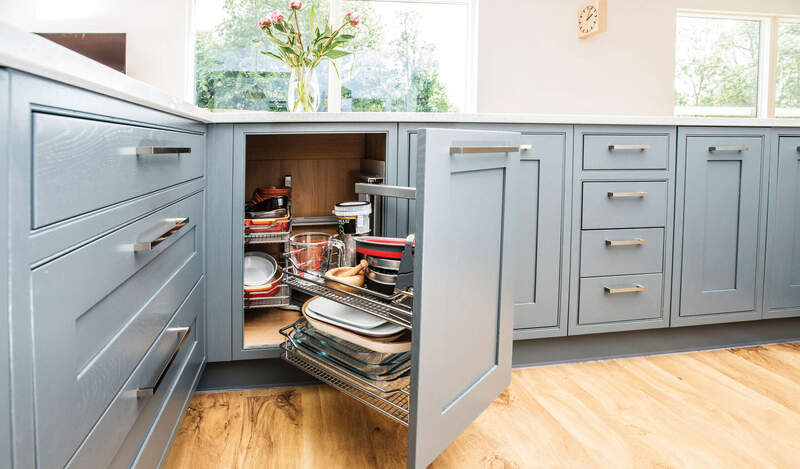 It has plenty of cupboard space and worktop space which was a priority for us. 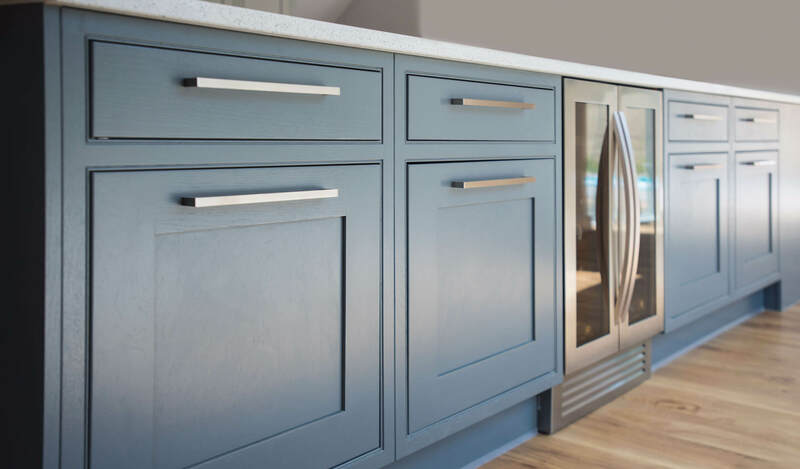 Claire managed to incorporate into our kitchen everything on our wish list (and it was a long list). She also advised us on things we didn’t know we wanted but that have been invaluable. 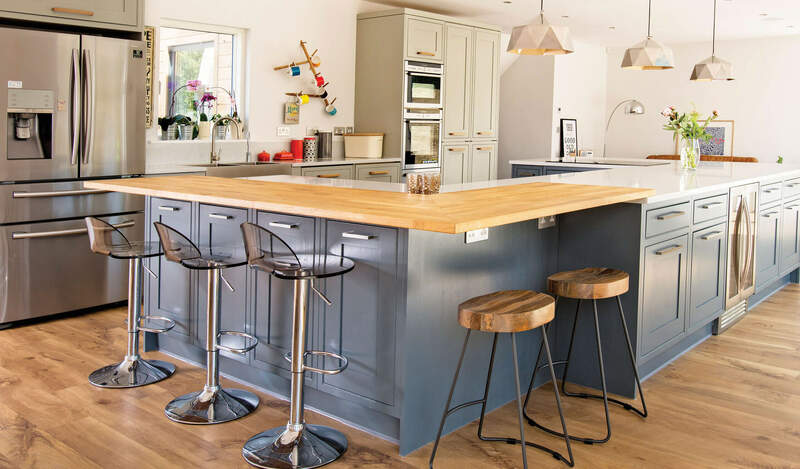 We are so pleased with our spacious, modern yet classic/contemporary kitchen and love the wooden breakfast bar which was all her idea !